This is the first audio feature with Momcat Lady Jean Grey Kranz. She came to purrcast with kittens as a foster named Marine which was shortened to just Momcat. Her kittens were easily adopted. We kept her for a little while longer to try and socialize her because we feared her very vocal growling and stubborn ways would get her returned by a timid adopter. A year later it became clear that we had “foster failed” and as a birthday present she was adopted and renamed. The foster program jokingly called her a Chesapeake Blue because of her silver blue fur and lack of pedigree. Amy wanted to call her Jean Grey after the X-men character and I extended the name to Jean Grey Krantz after NASA flight director Gene Kranz. She still growls if you look at her wrong but the tough street cat has softened and her ever curious nature finds her on top of the cabinets and having fun playing with our friends 4 year old marauding about pillow forts. 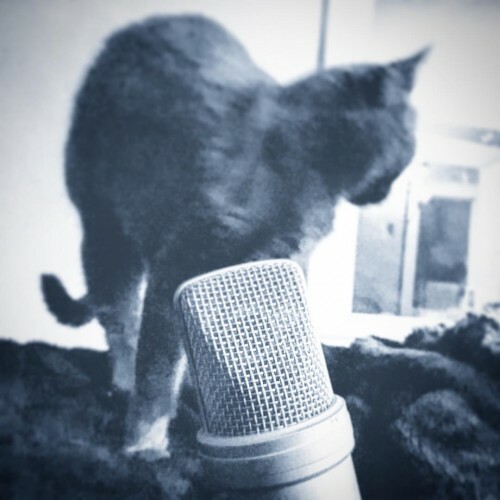 Purrcast is run by donations to our Patreon campaign at http://patreon.com/purrcast. As little as dollar a month gets you the super mega extended mix and other fun extras.